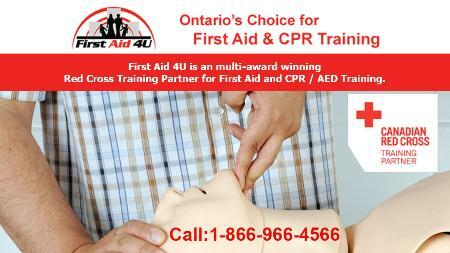 First Aid 4U offers First Aid and CPR Training Courses in Mississauga. First Aid 4U is Ontario’s Multi Award Winning Red Cross Training Partner Of Red Cross First Aid and CPR training courses and certification in Mississauga and throughout the GTA. Public courses are offered on both weekends and weekdays at our Mississauga training facility each month. University and College Students: Our WSIB Approved Red Cross First Aid & CPR Certificates are accepted by all faculties and professors throughout Ontario. Please check your faculty requirements to ensure you select the proper course before registering.